As the last quarter of the year comes to an end, we take time to give an overview of the Alliance’s Khayalethu livelihoods initiatives that have been supported by the Alliance’s City Fund. The Khayalethu livelihoods initiatives aim to demonstrate the linkage between informal settlement upgrading and sustainable livelihoods. The SA SDI Alliance has recognized that there is critical need to move beyond informal settlement upgrading, with a focus on infrastructure and basic services provision to improved livelihoods and income generating initiatives within informal settlement communities. In-situ upgrading with minimum relocations adds value to strengthening livelihood opportunities because community governance is strengthened and community vulnerabilities such as basic infrastructural services (e.g. water, sanitation, electricity), shelter, social services (e.g. education, health care, Early Childhood Development) and skills development is dealt with during these upgrades. Consequently, community socio-economic vulnerabilities such as crime, unemployment and access to education or health care are usually identified during the profiling and enumeration exercise. With all the challenges facing low-income households in informal settlements the Alliance, together with communities, aims to find strategies to strengthen and enhance livelihoods in informal settlements. The focus on improving people’s livelihoods is about improving their living conditions, quality of life and prospects for the future. The emphasis is on creating sustainability and resilience within the community with little reliance on external sources. This is reflected in a phrase often used by Alliance members: we use what we have, where we are. The Khayalethu livelihoods programs highlighted here, respond to unemployment, food security, lack of access to early childhood development and strengthening livelihood through skills development. The project was initiated in October 2014 as a social enterprise and livelihood opportunity for the ISN and FEDUP members. Ten groups consisting of 5 members were selected from several communities within Cape Town namely Khayelitsha, Mfuleni, Gugulethu and Philipi. The members’ trust among each other and eagerness to start the business was the driver for the project. Members were selected from the existing savings schemes and community members who had the will to start a business. Saving was emphasized as the main driver of a successful collective based business. Savings as the backbone of the alliance brought several benefits to the groups such as building trust among members and providing resources for the business. A baker-to-baker exchange was used to strengthen and transfer knowledge among members. The exchange assisted the groups’ improvement in product quality and solidarity among group members. Bakers from well performing groups visited bakers from non-performing groups and visa versa. They all spent the day baking and marketing the product. The challenges of setting up the community bakeries were building solidarity among members through a well-kept financial record and constitution. Due to the lack of basic numeracy and business management skills setting up a collective enterprise takes up a lot of mentorship. However, participants with existing or previously owned businesses proved to be successful because they understood the basic principles of operating a business. Other challenges such as crime and lack of access to trading spaces take a toll in the growth of such small businesses. As spaces in informal settlements are highly regulated by the local municipality, community members needed to get permission from the local municipality to put up trading stalls. They were therefore forced to bake from their homes. In partnership with The Business Place and The Tourism Business Institute of South Africa (TTBISA), community members with existing businesses were given skills development training. TTBISA with the support from Food and Beverage Seta offered a baking and hospitality learnership for 14 youth members from the community bakeries. 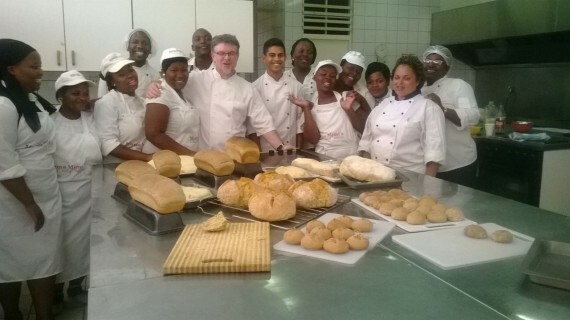 The learnership equipped the bakers with business management and baking skills. With the stipends received from the learnership the students contributed towards the growth of their businesses. They were placed in various retail shops in the city so that they can learn more about customer relations and management of their businesses. The Business Place offered short training courses on market research, business banking, costing and pricing of products to small business owners in the communities. The courses were offered to people who wanted to start, improve or expand their business. This opportunity was expanded to members of the Federation Income Generation Program (FIGP), who, after accessing loans they were mentored on how to start a small sustainable business. 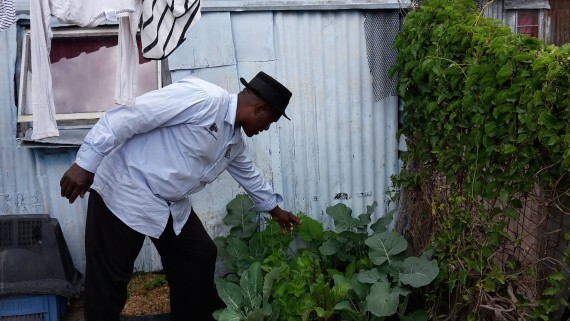 Due to high unemployment rates and distant location of certain settlements from economic opportunities, food gardens become an important vehicle to address food security and nutrition among low-income groups and informal settlements. In partnership with Soil for Life the Alliance trained community members in organic farming. For three months the community-farming group is trained in building the soil (most of the soil in Khayelitsha is sandy and becomes difficult to grow food), transplanting and developing the vegetables. Sustainability of the gardens is vital hence the groups are taught how to build their own compost and harvest seeds for the next crop. Due to lack of space in informal settlements, Soil for Life places emphasis on growing vegetables in limited spaces, containers and bags. The Solid Waste Network (SWN) is a network of approximately 1500 informal waste pickers in informal settlements. The recycling program is a social enterprise program with the aim of delivering a unique and value adding collection and payment service to informal waste pickers across Cape Town. The goal of this initiative is to create access to livelihoods and income generating opportunities for informal settlement residents through the recycling of glass, plastic and paper waste. Despite being targeted by criminals during collections and experiencing product pricing fluctuations, the SWN managed to sustain its operations. In order to strengthen the network cluster meetings, recycling workshops were used to create awareness about recycling. Therefore, the strength of the program lies in the collective: collectively waste pickers removed 50 tons of waste. Early childhood development is important for the growth and education of all children. 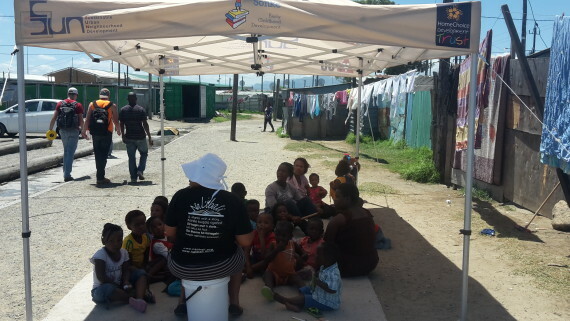 While planning a multi-purpose centre, the community of K2 in Site B, Khayelitsha decided to start an informal space-based crèche. The analysis of the enumeration showed that there was a high number of children not attending crèche. This was partly due to the high unemployment rate in the settlement and the parents’ inability to afford crèche fees. The residents used the results from the enumeration to improve access to early childhood development for their children. In partnership with Sikhula Sonke, the community has started an informal learning space, which will be integrated into the multi-purpose centre once completed.